Baby, It’s Hot in Here. 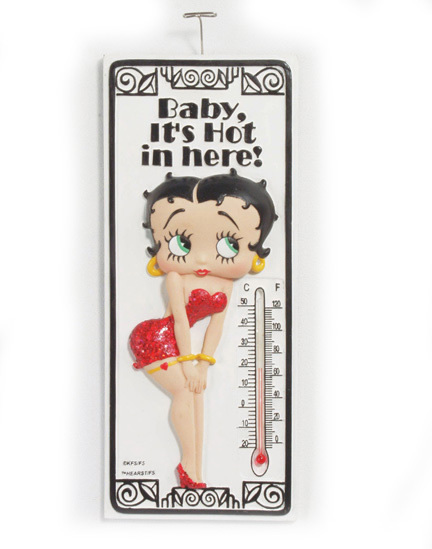 It’s always HOT when Betty is around, with her flirty skirt and big eyes. Let this Betty thermometer help you keep track of the temperature. is 8” high, and arrives ready to hang. Not intended for outdoor use.